Today’s post is brought to you by my friend and fellow registered dietitian, Kristy! As a mom with young kids herself, we’re always chatting up delicious and nutritious ways to feed our kids [and keep our sanity]. Kristy has experience with school-age children so I thought it would be fitting for her to share her expertise with you all! Don’t forget to head on over to her blog, Chocolate Slopes, [and check out her recipe for Peanut Butter and Chocolate Croissants, HELLO!]. My son is in his second year of preschool and we are required to bring a snack for the class about once a month. 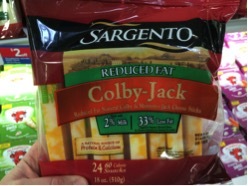 Now being a dietitian, I cringe a little when I think of the type of snacks my son will be eating all year. Now that’s not to say the preschool’s welcome letter didn’t suggest healthy snacks, it’s just that I know parents, and a LOT do not know what or how to provide healthy snacks for preschoolers. I believe the mentality or mindset of what a snack is defined as needs to change. The definition of “snack” does NOT = sweets/junk food. A “snack” is a smaller portion of food eaten between meals. According to the Oxford Dictionary, the definition of “snack” is a small amount of food eaten between meals. Nowhere does it state that a snack is defined as a treat, sweet or dessert. Unfortunately many people believe that a snack is just that – a dessert. When it comes to the preschool age (3-5 year olds), they have small stomachs and need food every few hours. This leads to eating about 6 times a day, 3 meals and 3 snacks. Hand-held snacks like clementines make the perfect snack for school. There’s minimal cleanup too! Hummus with carrots – kids love to dip! 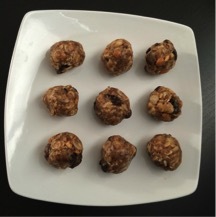 A favorite snack in my house for my 3- and 4-year-old and are these homemade No-Bake Peanut Butter Oatmeal Bites. Of course if there are peanut allergies within your own home or in your children’s school, feel free to substitute another kind of butter such as soy nut butter or sunflower seed butter in place of peanut butter. Bite-sized and kid-friendly. Who can resist chocolate chips?! Mix peanut butter, honey and oats together. Add vanilla extract, flaxseed and raisins (or peanut butter chips). Mix until combined. Refrigerate for about 30 minutes or until chilled. Form dough into about 1 inch balls. What type of snacks have you brought to school for your kids and their classmates? The peanut butter oatmeal bites look amazing! I’ll definitely have to try these for my kids! I think they are a great big kid (aka adult) snack too! This is a topic near and dear to my heart as I have been working to improve the snacks (and birthday celebrations – grrr..don’t get me started!) at my childrens’ preschool. This is a great list. When I’m snack mom I sometimes bring little mozzarella balls and grape tomatoes (mini caprese salad) and edamame. Why do celebrations always have to involve sugar?! Kudos to you for making positive changes Jessica!! The little clementines are so fun! LOL!!! I would have loved to have seen the faces of other kids in the classroom when you served those up 🙂 foodie from the start! Most of these are go-to snacks even for my older kids. I’m totally making those peanut butter oatmeal bites! Ditto! 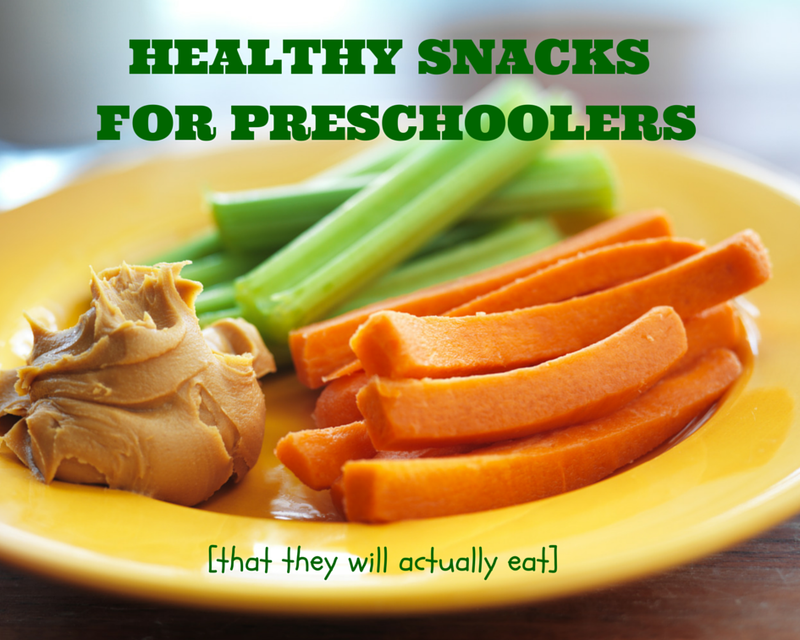 I think they are great snack ideas for any child eating solid foods! Adults too! We love apples n peanut butter but my kids aren’t preschool age anymore. Thanks for the recipe! Yes, yes, and yes! on the definition of a snack! 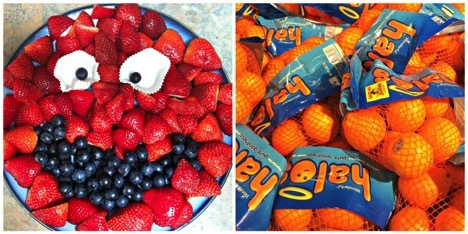 My son is almost 2 so we aren’t doing preschool yet… but I’m already dreading snack time! Love all of your suggestions – healthy, yummy, and perfectly easy! Kristy hit the nail on the head with that one!! 4?! Momma. You are a rock star!! Could someone tell me how many this recipe makes? Thanks! I’m excited to send these to my daughter’s school. How do you keep ranch dip cold for a lunch box? If I take out of the fridge in the am and put in lunchbox will it still be ok to eat by lunch time? around 11:00? This was delicious! My 4 year old helped me make this today. We did swap chocolate chips for the raisins/pb chips since that was what we had on hand. It is almost too sweet! But of course my 3 little boys gobbled their portions right up! Thanks for a fun snack my preschooler could help make!